Indian Weddings are rich in style, customs and traditions. As is the old civilization, so are the age old traditions which have been followed by people since ages. It is customary to invite people for this grand occasion. Likewise, the guests come with their blessings wrapped in gifts or envelopes which generally contain money for the newly wedded couple. 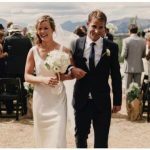 This money can be considered to be a small contribution in the wedded couple’s newly setup life which they can spend on things of utility or necessity. These days, this is becoming a more prevalent trend as gifts have their disadvantage in the sense that they may be repeated or may not prove to be of any use to the couple or they have already bought the item which was gifted so thoughtfully, yet lost its charm and purpose. With the emerging new trends, it is trendy to carry an envelope which is not only exclusively designed but also may have some beautifully written message for the bride and groom. 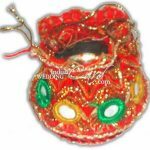 These exquisitely created pockets do not look less attractive than any gift as they are no more limited to those traditional designs or patterns which were common and rather boring to look at. 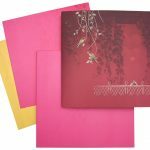 This new range is designed with novel and creative ideas that make use of shimmery or glossy paper or fabric along with the choicest of embellishments that enhance the beauty of these very special envelopes. 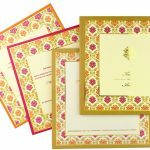 The rich and vibrant colours or the symbols used on these envelopes make them even more alluring. They may be cut and styled in unusual shapes or carved beautifully to look extraordinarily voguish. 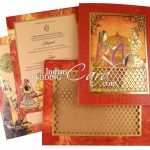 We at Indian Wedding Card love to explore beyond the set patterns and traditions. 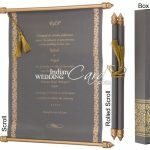 That is the reason behind our Indian Wedding Envelopes being unparallel in beauty, charm, and liveliness. They truly display the spirit of an Indian Wedding which is opulent, bright and royal in every way. When our card designers create these wedding money envelopes, they do it with the intention to bring out a range that has a true Indian soul. 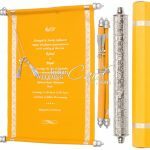 The envelope made of shimmery handmade paper in rich orange colour with embossed image of Lord Ganesha or Radha Krishna on the left side, decorated with stones or mirrors or tassels is definitely going to earn admiration. Our creative team has plethora of ideas to always come up with something unique and new for our clients. 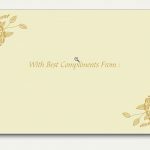 Our online store exhibits a wide range and variety of these wedding envelopes which are mentioned with their particular specifications but we also customise the sizes and designs to meet our customer’s requirements. We always are conscious of their sentiments and try to cater for everyone’s diverse tastes and choices. We are experimental and always open to innovative ideas. That is why we keep on updating our website with the newer versions which we feel can give our customers something livelier and more happening than the last ones. 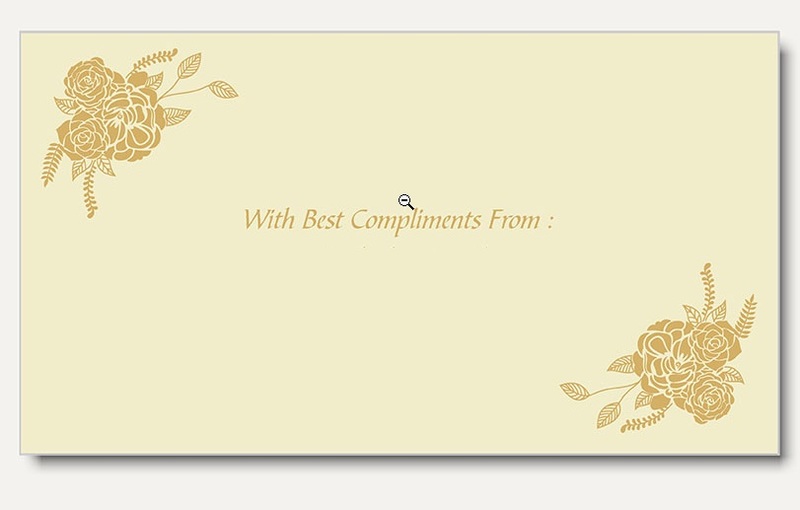 Our competitive prices, along with guidance to our clients’ for the wording on these envelopes, make it a wholesome experience for them. Visit us and order your free samples today.